ZAMBIA – Named after the mighty Zambezi River flowing along its Southern Border, which is fed by the Kafue and Luangwa tributaries. There are several large and genuinely ‘wild’ national parks, including Kafue, South Luangwa and Lower Zambezi . Shaped by three great rivers, Zambia is characterized by water including the massive lakes of Tanganyika, Kariba and Bangweula. 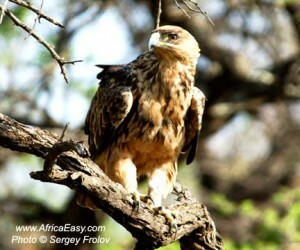 Zambia boasts the largest area of land under the protection of national parks in Africa featuring a wealth of wildlife. Many properties offer walking trails for guests who prefer an alternative to the safari vehicle. 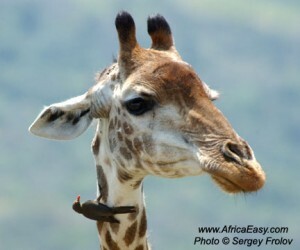 Zambia is also known as the birthplace of walking safaris. Canoe, rafting and fishing safaris, upstream from the Falls on the Zambezi River are possible as are canoeing trips on the Lower Zambezi. VICTORIA FALLS AND LIVINGSTONE Victoria Falls – a World Heritage Site – and the Zambezi River are accessible from the nearby town of Livingstone, named after the famous explorer David Livingstone. Livingstone has a variety of hotels and lodges and is also home to numerous activities for adventure seekers. This including bungi jumping, rafting and abseiling down the Gorge. SOUTH LUANGWA NATIONAL PARK If you are looking for great scenery, access to a variety of animals, along with choice accommodations, South Luangwa is the park for you. The Park is 9050 square kilometers and the concentration of game around the river area is of the highest in Southern Africa. The bird life is tremendous with about 400 species recorded. The wide Luangwa River is the lifeblood of the park and flows all year. The focal point is Mfuwe, a small village about 2 km from the Mfuwe Park gate. LOWER ZAMBEZI NATIONAL PARK Overlooked for many years, this park is a personal favorite of mine situated on the banks of the Zambezi River. Only opened in 1983, the Lower Zambezi National Park receives a high level of protection from the Zambian Government. The best wildlife viewing is on the floodplain and along the river itself. As a result, boat rides are a major feature at all camps. Guided canoeing tours are a favored method of observing the spectacular birdlife. Fishing is also popular as the area abounds in freshwater bream and tiger fish. KAFUE NATIONAL PARK lies about 200km west of Lusaka, spans 8650 square miles and is one of the larger national parks worldwide and the largest in Zambia. The wild landscape varies from the Busanga Plains in the northwest, to richly green areas in the south, all nourished by 3 rivers including the Kafue River. 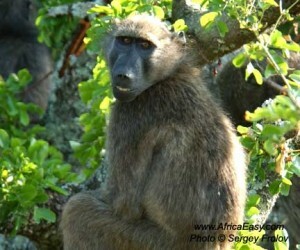 This is classic wildlife country and the foremost park for spotting the Big Five. The first Europeans to enter what is now Zambia were Portuguese explorers. In the 1790’s several of them traveled from Angola as far as the headwaters of the Zambezi River. During the Colonial era, Zambia was comprised of two separate territories – North Western Rhodesia and North Eastern Rhodesia but were combined in 1911 to form Northern Rhodesia. After gaining independence, Zambia inherited a British-style multiparty democratic political system, which holds elections for President and members of parliament every 5 years. Today Zambia continues to be burdened with a massive international debt and high unemployment. The economy is dominated by agriculture, with half the produce coming from subsistence farms and the other half from large commercial farms. CLIMATE – Zambia’s altitude creates a temperate climate. There are 3 distinct seasons: cool and dry from May to August, hot and dry from September to mid November and warm and wet from mid November to April. Rainfall is higher in the north of the country. SIZE -Shaped like a contorted figure eight, Zambia is a landlocked country the size of France, England and Ireland combined. POPULATION – The population is 10.5 million and rapidly growing. LANGUAGE – English is the official language spoken. CURRENCY -Local currency is the Kwacha but the USD is widely accepted.